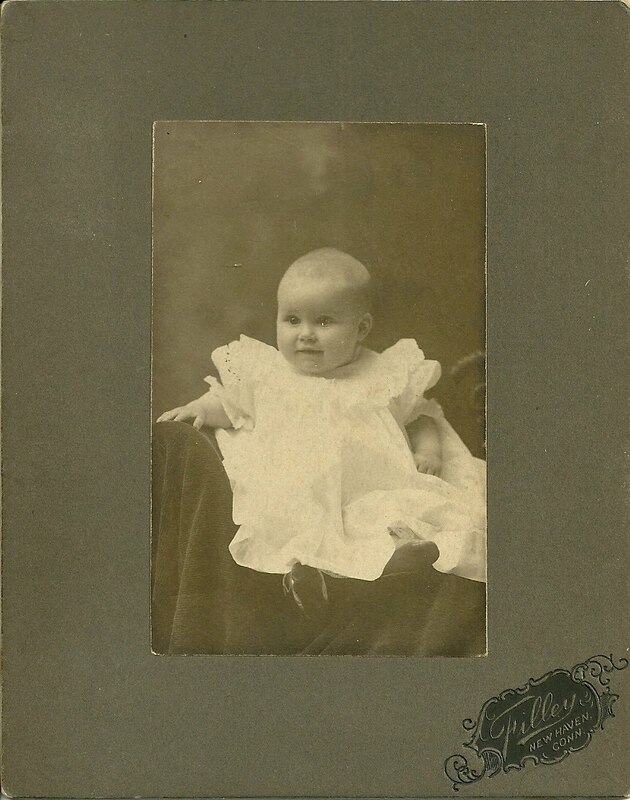 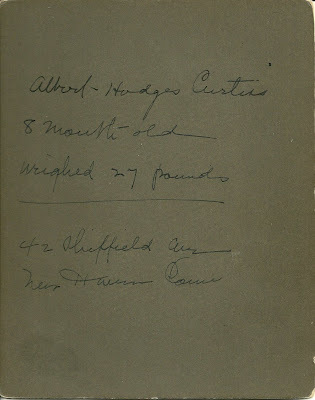 Photograph of Albert Hodges Curtiss, 8 months old, weighed 27 pounds, 42 Sheffield Ave, New Haven, Connecticut. 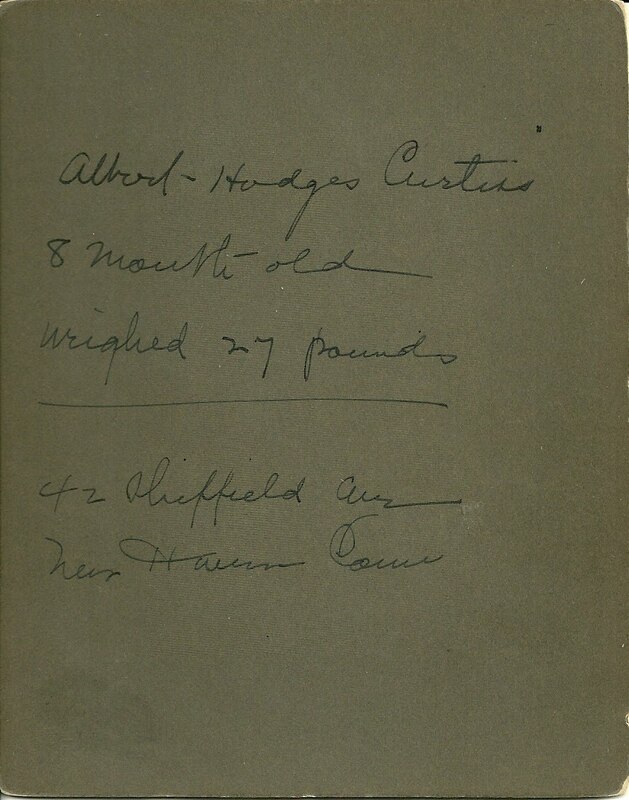 Update: According to a reader, Albert Hodges Curtiss was the son of Clayton J. and Violette Norah (Hodges) Curtiss. Sadly, he died at about age 3 and is buried near New Haven, Connecticut.